First update from Andrew Towne from The Khumbu Valley who is climbing Mt. Everest to raise money for YFU. 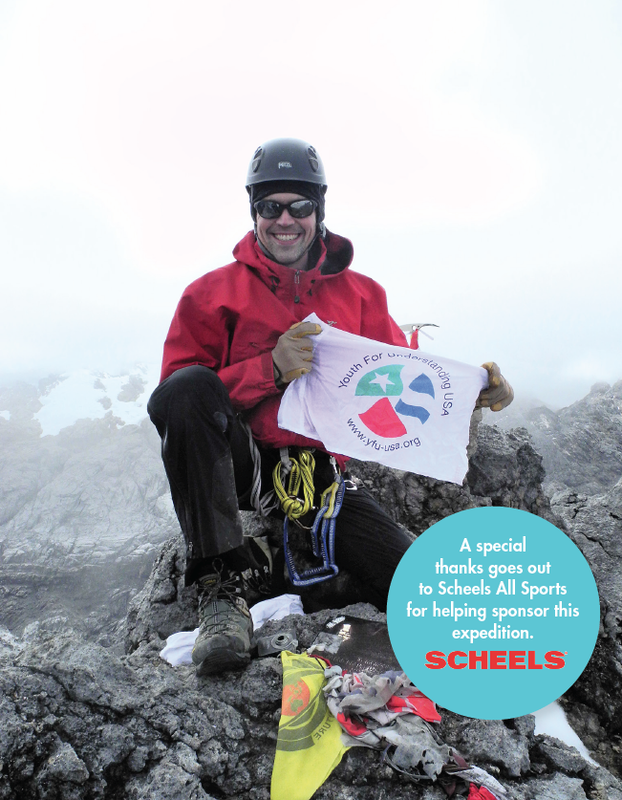 Click here to read more about how Andrew became interested in climbing the world's tallest peaks. We are five days into the trek to Everest base camp, acclimatizing well and enjoying good weather. The Khumbu Valley and its Sherpa people are inspiring. I've never seen such magnificent mountains and such kind, balanced, and strong people. It's hard to believe that I've already been in Nepal for a week. We spent our first day in Kathmandu, organizing our gear and visiting the ancient Boudhanath stupa. The next morning, we flew to Lukla, which at 9,300' is at the base of the Khumbu Valley and the head of the ~30 mile trail to Everest base camp. The airport is perched half way up the mountain, with the tail of the runway hanging off a cliff and the head of the runway going directly into the side of a mountain. They say that if the 2,000' of runway isn't enough for a plane to takeoff, pilots just glide over the edge of the cliff and hope to catch an updraft before hitting the valley floor half a mile below. We met the team of Sherpas that is helping us climb the mountain, and after getting our yak caravan organized, we walked a few miles down the trail to Phakding for the night. On our third day we climbed to Namche Bazaar (11,286'), which is the trading center of the Khumbu Valley. I was amazed to see digital camera dealers and Mountain Hardware outfitters in a place where yaks always have the right of way. Day four took us up to Khumjung village (12,000') and our first view of Mt. Everest. On day five we moved up to Tengboche Monastery--the oldest monastery in the Khumbu, Tengboche served as base camp for Tenzing Norgay and Edmund Hillary's first ascent in 1953. One of the staff at the lodge was a teenager at the time and described to us their intrepid siege of the mountain. Today we climbed a short ridge to aid our acclimatization before attending a Buddhist meditation session at the monastery. The entire region is incredible; I think because of its people. The Sherpa migrated to the Khumbu from Tibet between 300-600 years ago and make their home in the shadows of the world's tallest peaks. Renowned for their strength and mountaineering prowess, most Sherpa are Buddhist, which may contribute to their tolerance of so many Westerners who lack their mountain skills. The valleys are so steep that "roads" in the Khumbu are hand made trails in valleys and along mountain sides, all shared by humans, yaks and wild animals. I have a great deal of respect for the work it must take to survive at these altitudes, and I am impressed by how global the community is. Many have studied abroad and speak a foreign language. I am proud to be climbing for Youth For Understanding, so that more cultures can learn to view the world through others' eyes. All in all, the expedition could not be off to a better start. There are 5 others on the trip who will attempt the summit, plus an additional 11 who are just trekking to base camp. We've been enjoying each other's company and playing games / comparing notes on the mountain. When I write again in a week or two, we should be at base camp! Support alumnus Andrew Towne as he attempts to summit Mt. Everest to promote intercultural exchange and raise scholarship funds for YFU!